If you’re moving offices, the ‘make good’ provision in your lease contract might be causing you some unnecessary stress. The costs associated with ‘make good’ are often underestimated by business owners who find themselves squeezing much needed funds from the new commercial fitout budget to fulfill previous lease obligations. At Tradecorp Construction Group we understand how stressful the ‘make good’ process can be, so we offer a ‘make good’ restoration service for all vacated premises. Our years of experience working with ‘make good’ lease contracts means we understand the legal requirements and how to meet your obligations as efficiently as possible. We acutely understand the options you have as a leaseholder, what restorations are actually required and how to fulfill your obgligations in the most cost effective way. We’ll work within your timelines to ensure you meet your ‘make good’ obligiations, so you can move into your new office without the stress of your previous lease hanging over your head. In addition to ‘make good’, we offer relocation and commercial office fitouts. 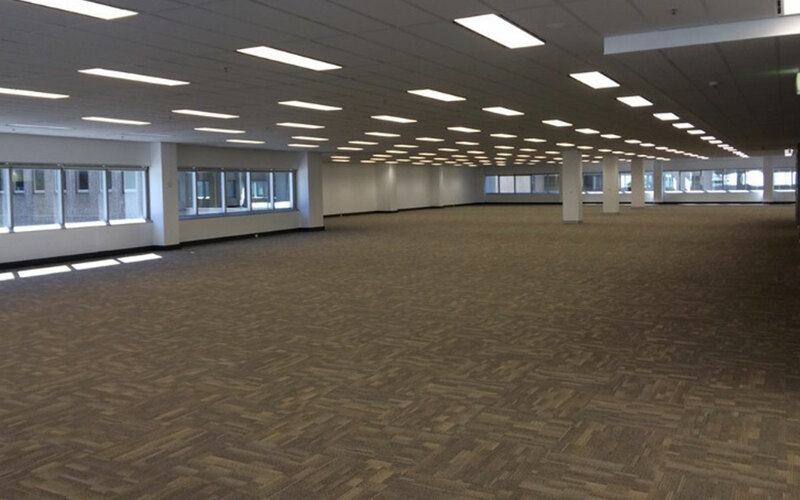 We’re experts in office renovation and we’re here to bring your office transformation to life. Call us on 1300 887 375 to discuss your ‘make good’ lease obligations with our team of professionals.